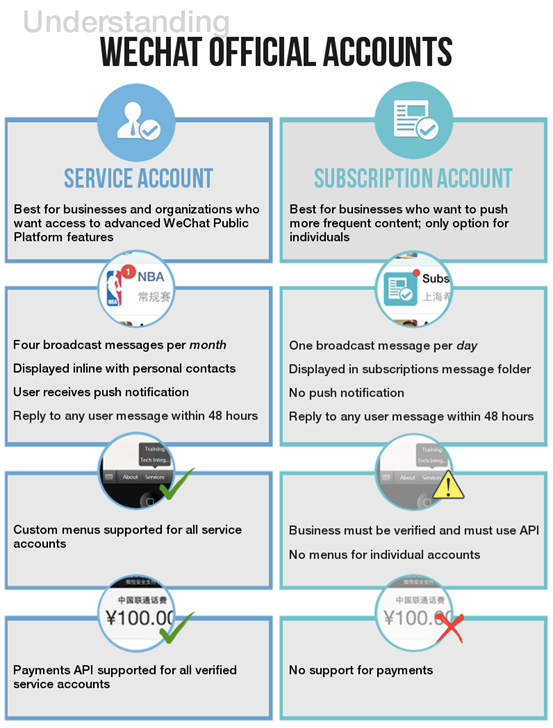 Understanding the needs of the client is the first step towards developing a WeChat strategy. There are 2 main types of official accounts to choose from: WeChat Subscription Account and WeChat Service Account. A WeChat Official Account is a great way for a company to generate brand awareness and PR in China. Creative content of high quality is necessary to attract followers. The WeChat official account allows brands to post messages with contents such as text, photos, videos and audio messages to their WeChat official account followers. Companies are using their WeChat official account as a marketing tool to promote themselves and build brand loyalty through WeChat promotions and activities. In order to succeed with WeChat, we help brands define their communication objectives and we always keep this front and center. Customers do not want to listen or read static marketing, therefore brands need to engage in an open dialogue with customers and make all advertising, consistent, relevant and exciting.